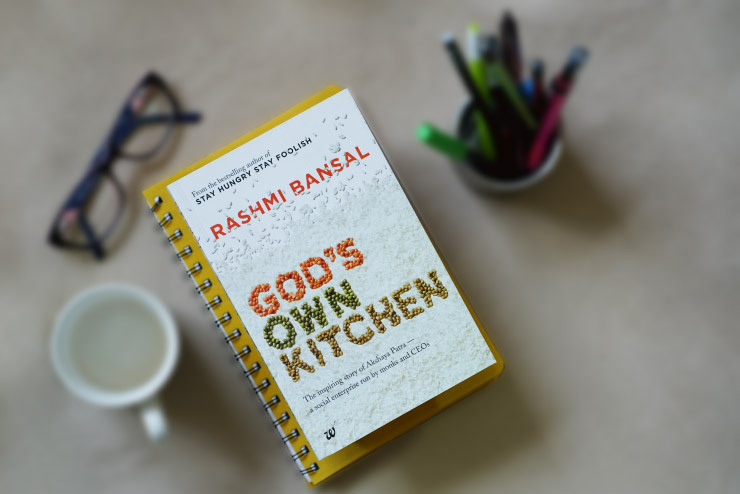 Akshaya Patra’s wonderful journey is now chronicled in a book – ‘God’s Own Kitchen: The Inspiring story of Akshaya Patra’ – by renowned Indian author Rashmi Bansal. This book has been published by Westland and was launched by Ms Bansal on April 22, 2017, at ISKCON, Rajajinagar, Bengaluru. The book was launched in the presence of Honourable Justice, Shri Santosh Hegde; TV Mohandas Pai, Independent Trustee, The Akshaya Patra Foundation; Shri Madhu Pandit Dasa, Chairman; Shri Chanchalapathi Dasa, Vice-Chairman and Shridhar Venkat, CEO. Ms Bansal is an IIM Ahmedabad alumnus, who is known for her book ‘Stay Hungry, Stay Foolish’. 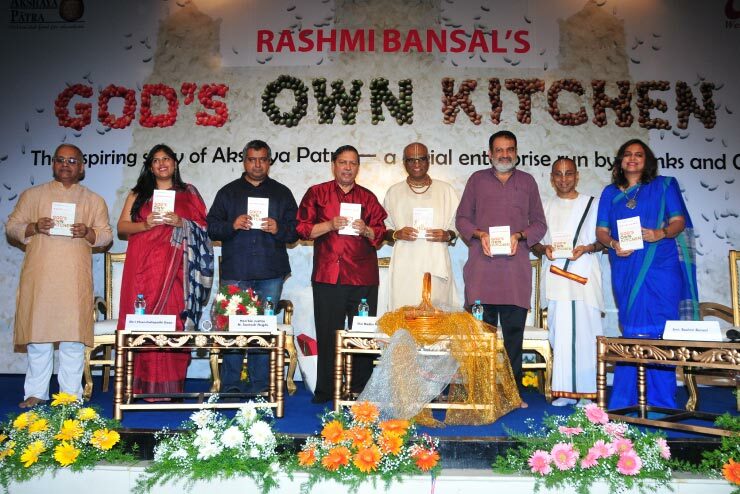 ‘God's Own Kitchen: The Inspiring Story of Akshaya Patra - A Social Enterprise Run by Monks and CEOs’ showcases the unconventional path taken by the Foundation’s founders.